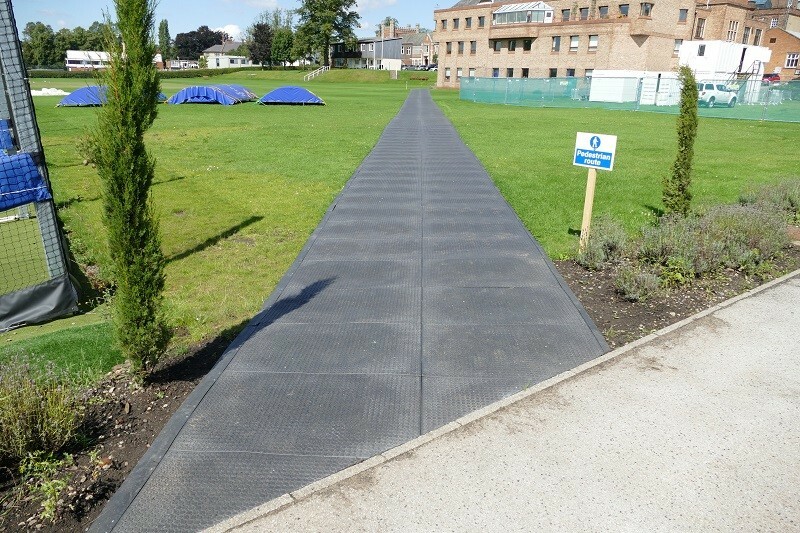 A 40-week construction project taking place at St. John’s School, York, meant that the existing student footpath would be out of use. 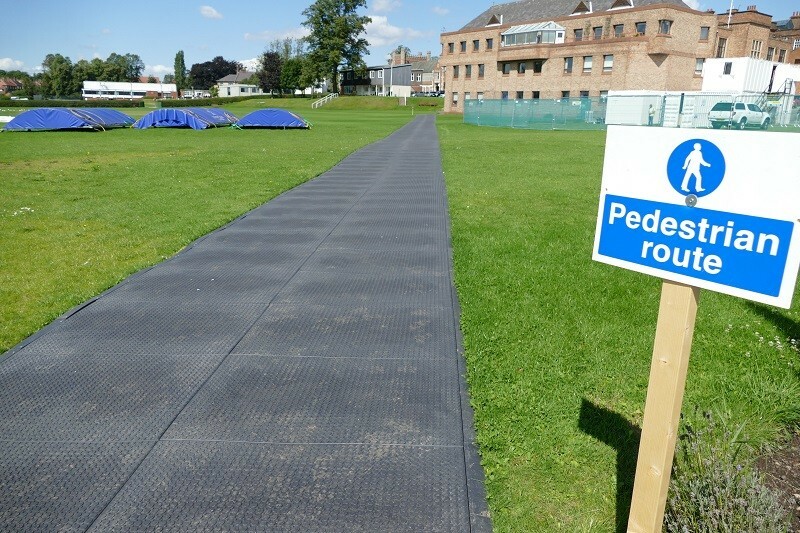 The School wanted to create a temporary, alternative route for the children to use around the nearby cricket pitch. The solution needed to be safe, functional and aesthetically pleasing. After consultation with the Ground-Guards’ team, FastCover was chosen as the ideal solution for this job. 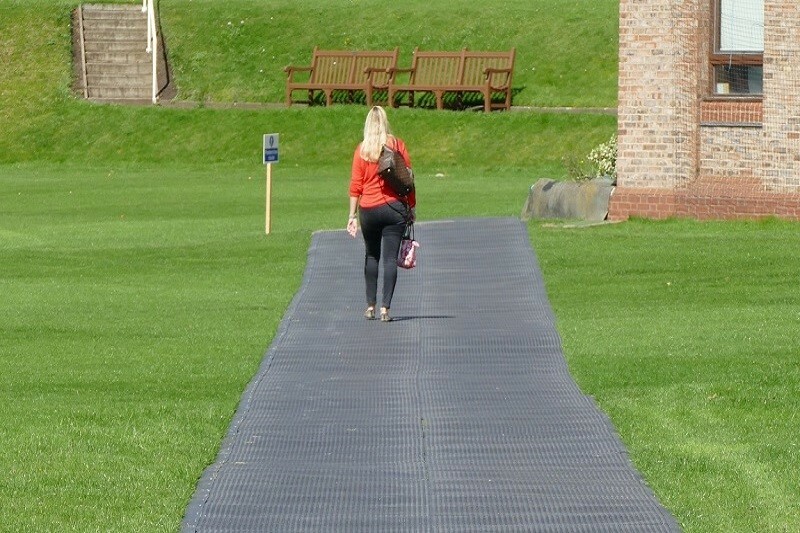 Made from strong 100% recycled PVC, FastCover provides a durable, anti-slip surface at an economical price. 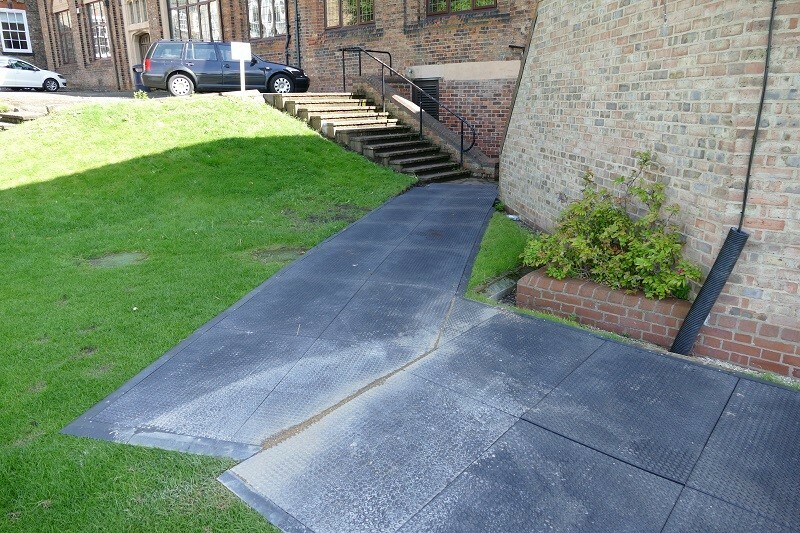 The tiles have integral interlocking lips to enable smooth joins without trip hazards, whilst edging ramps provide a gentle transition to ground level. 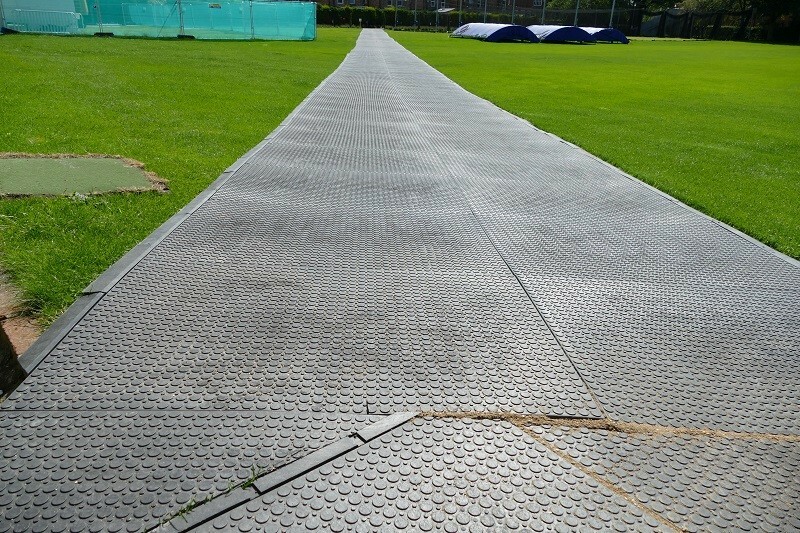 FastCover is flexible to follow ground contours. 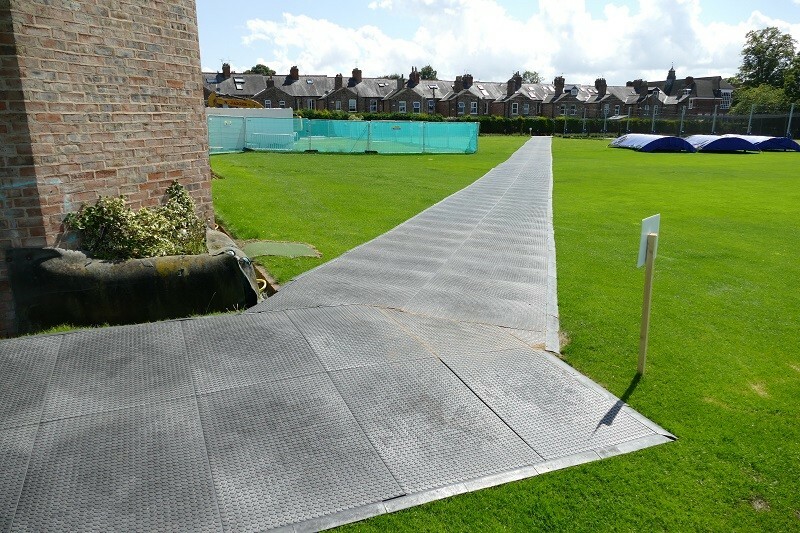 250 FastCover tiles were used to create a visually attractive 100 metre walkway, providing the school children with a safe access route across the cricket outfield. This enabled the School to operate ‘business as usual’ whilst the construction work took place.